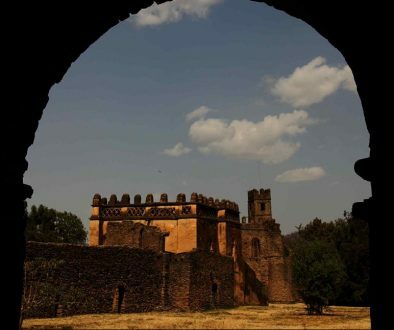 The ruins of the ancient city of Aksum are found close to Ethiopia’s northern border. 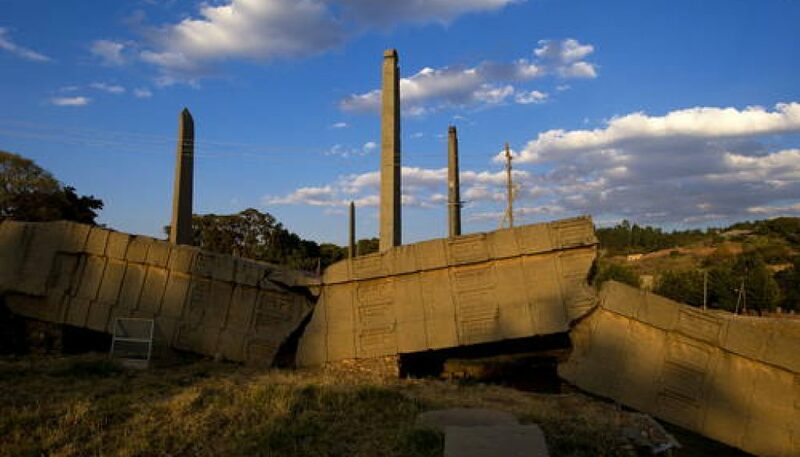 They mark the location of the heart of ancient Ethiopia when the Kingdom of Aksum was the most powerful state between the Eastern Roman Empire and Persia. 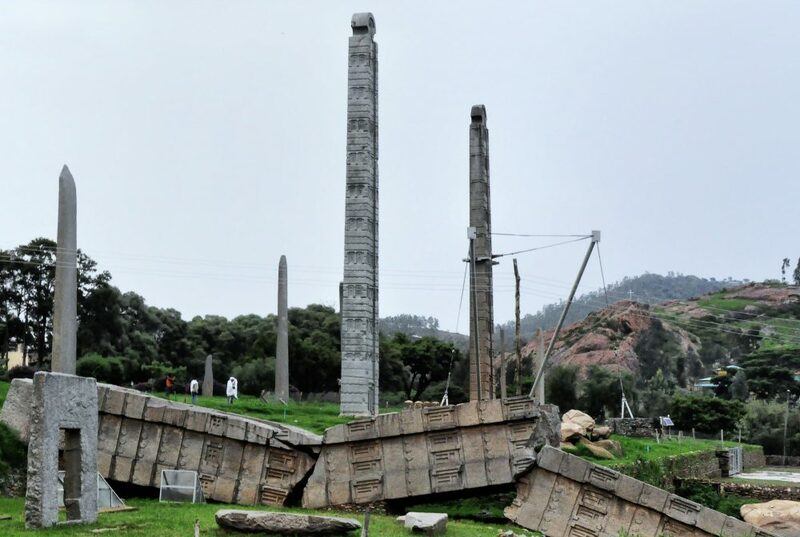 The massive ruins, dating from between the 1st and the 13th century A.D., include monolithic obelisks, giant stelae, royal tombs and the ruins of ancient castles. 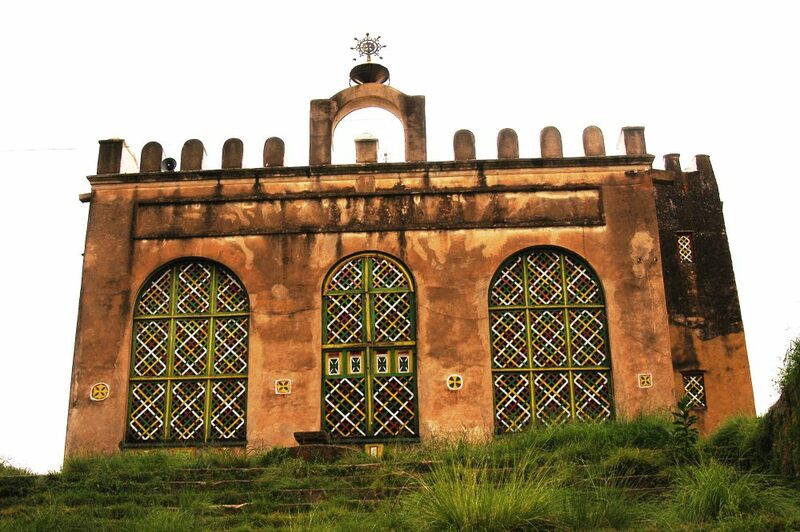 Long after its political decline in the 10th century, Ethiopian emperors continued to be crowned in Aksum. 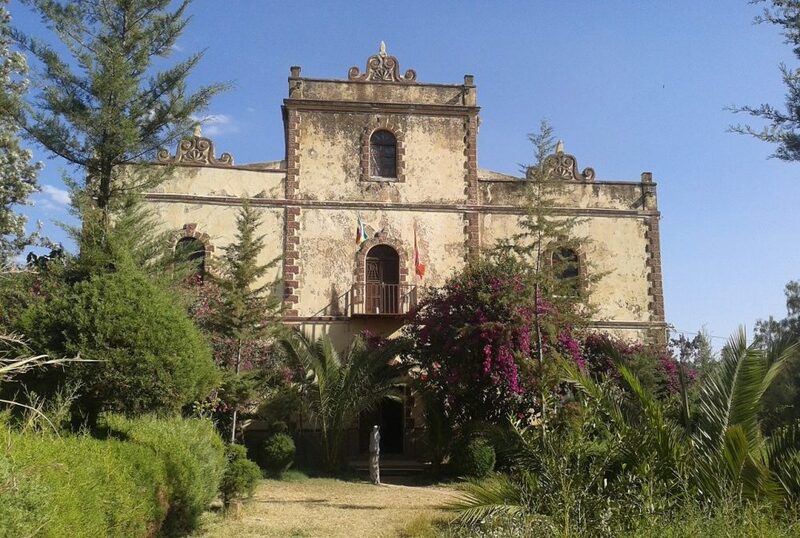 The Church of Our Lady Mary of Zion was built in 1665 by Emperor Fasilides and said to have previously housed the Ark of the Covenant. 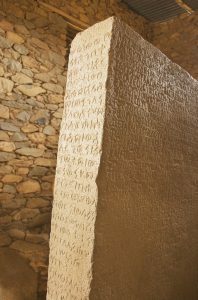 A series of the inscription on stone tablets have proved to be of immense importance to historians of the ancient world. 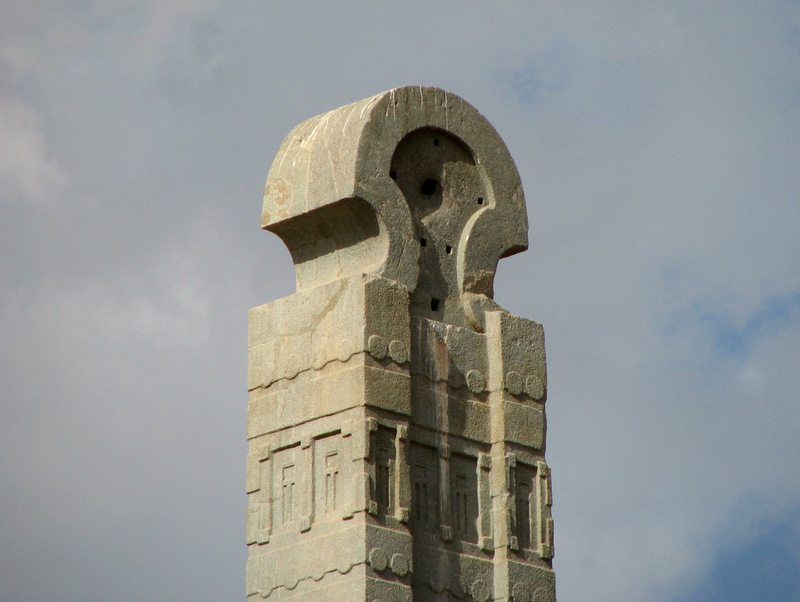 Some of them include trilingual text in Greek, Sabaean and Ge’ez (Classical Ethiopian), inscribed by King Ezana in the 4th century AD. 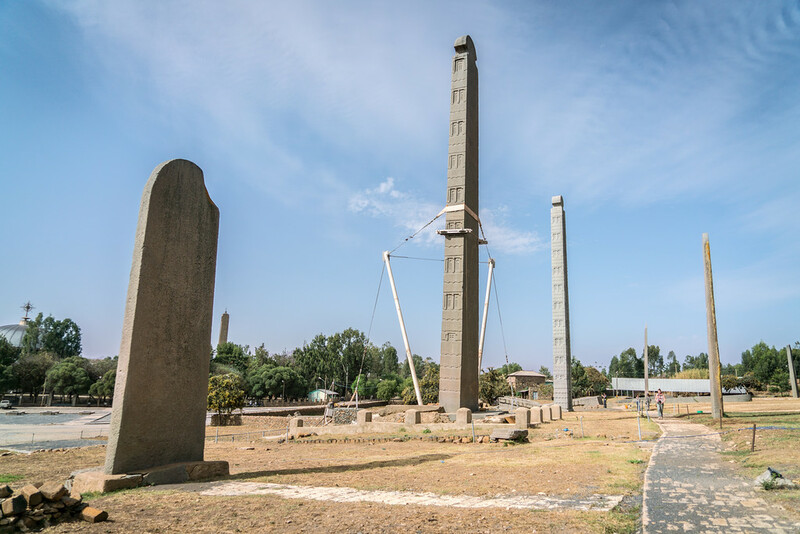 Axum was the center of the marine trading power known as the Aksumite Kingdom, which predated the earliest mentions in Roman-era writings. Around 356 CE, its ruler was converted to Christianity by Frumentius. Later, under the reign of Kaleb, Axum was a quasi-ally of Byzantium against the Sasanian Empire which had adopted Zoroastrianism. The historical record is unclear, with ancient church records the primary contemporary sources. It is believed it began a long and slow decline after the seventh century due partly to the Persians and then the Arabs contesting old Red Sea trade routes. 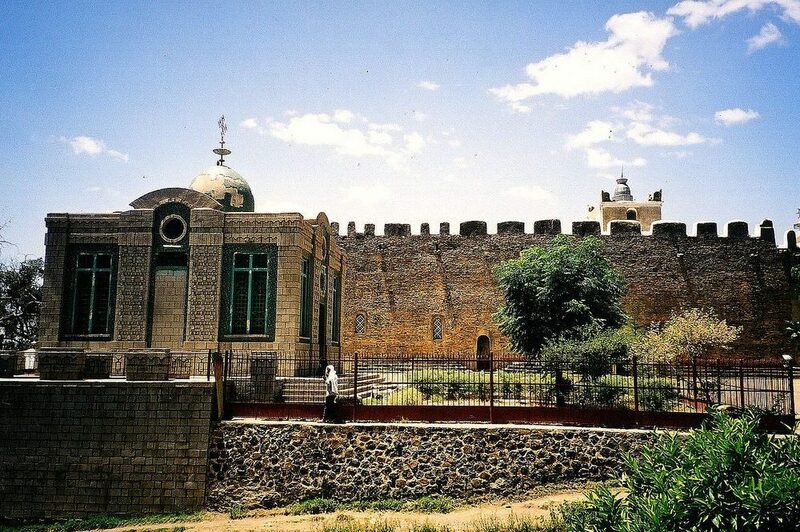 Eventually, Aksum was cut off from its principal markets in Alexandria, Byzantium and Southern Europe and its trade share were captured by Arab traders of the era. 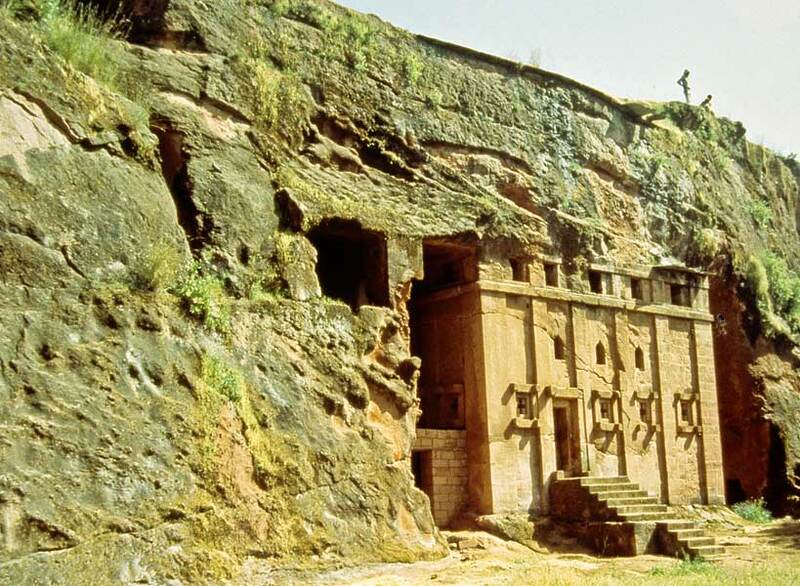 The Kingdom of Aksum was finally destroyed by Empress Gudit, and eventually, some of the people of Aksum were forced south and their old way of life declined. 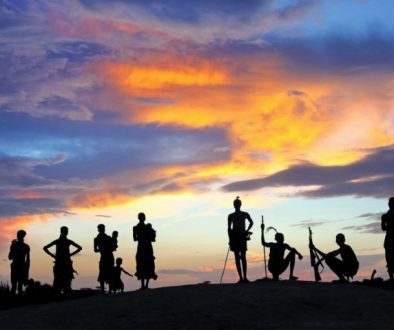 As the kingdom’s power declined so did the influence of the city, which is believed to have lost population in the decline, similar to Rome and other cities thrust away from the flow of world events. The last known (nominal) king to reign was crowned in about the 10th century, but the kingdom’s influence and power ended long before that. 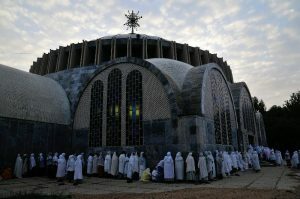 The Kingdom of Aksum has a longstanding relationship with Islam. 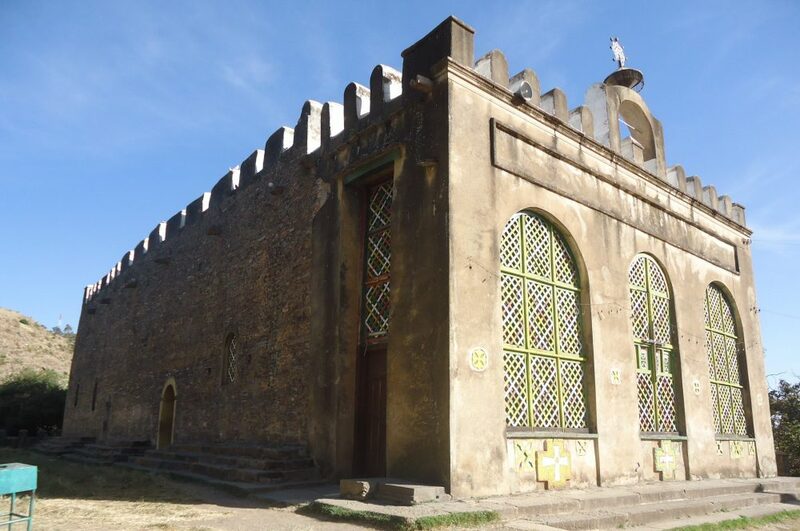 According to Ibn Hisham, when Muhammad faced oppression from the Quraysh clan, he sent a small group that included his daughter Ruqayya and her husband Uthman to Axum. Sahama, the Aksumite king, gave them refuge and protection. He refused the requests of the Quraish clan to send these refugees back to Arabia. 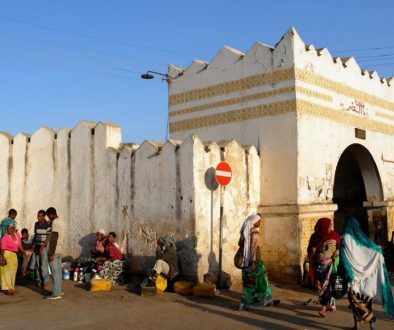 These refugees did not return until the sixth Hijri year (628), and even then many remained in Ethiopia, eventually settling at Negash in what is now the Misraqawi Zone.